Hello my friends! This morning we have one of my favorite people in the world participating in Fortnight of Fright, Amy from Tripping Over Books! 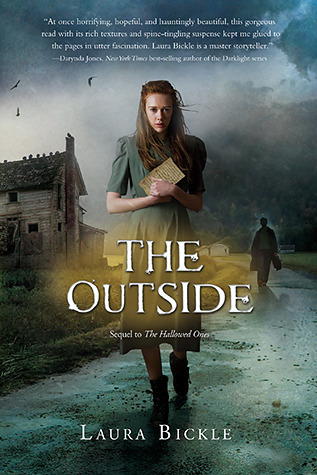 Below you will find a piece of Amy’s review of The Outside by Laura Bickle, head on over to her post to read the rest of her thoughts on this awesome vampire/Amish mash up! 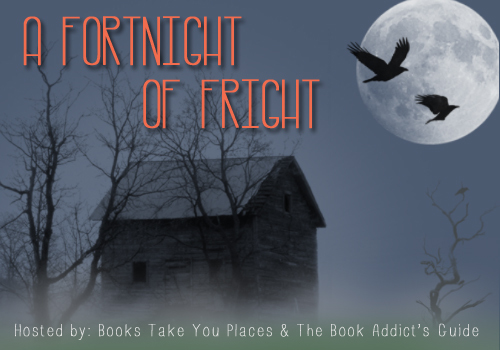 Also be sure to head over to Brittany’s blog to see what she has featured for Fortnight of Fright today! Take it away, Ame! Friends, I’m a little bit over the vampires. Just in general. Truthfully, I haven’t read that many vampire books, and I do watch shows on TV that center around vampires, but I’m not always eager to get on board with them. I had this feeling before I read the first book in this series, THE HALLOWED ONES, and that book basically disabused me of my meh-ness. Laura Bickle‘s story about the vampire apocalypse as seen through the eyes of the Amish was creepy and excellent. Reading THE OUTSIDE, the conclusion of Laura Bickle‘s story, became an instant priority, and it was worth the anticipation. I read The Hallowed Ones on Amy’s recommendation, and I LOVED it. I honestly cannot wait to read the sequel. I know it might sound weird when you hear Amish or Amish and vampires thrown together but I promise you that it works! Thanks for joining us today, Ame! 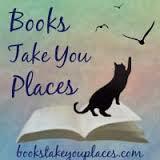 This entry was posted in Event, Guest Post, Reviews and tagged Amish, books, Fortnight of Fright, guest post, horror, supernatural, vampires, young adult. Bookmark the permalink. HECK YES! I loved this duology. I hope more people give it a shot because of this! I still have not read this series yet, but that’s mostly because I’m hesitant to encounter vampires again. While I love my vampire shows (TVD and The Originals) and have been obsessed with the Black Dagger Brotherhood series, I really don’t know if I’d ever read this. I think it sounds pretty unique though!